The submission deadline for proposals is Wednesday, May 30, 2018. Submissions for the 2019 Annual Meeting are closed. If your proposal is accepted, you will be notified in August. 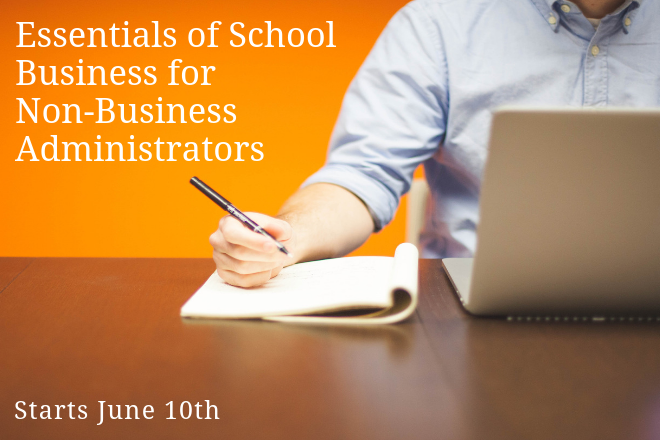 If you have any questions, please email programs@nboa.org or call 202-407-7140. NBOA seeks volunteers to share their expertise on issues or challenges facing independent schools for presentation at the 2019 NBOA Annual Meeting to be held March 3-6 in San Diego, CA. Meeting content is built around key learning tracks including leadership and governance, business operations, risk management, accounting/finance/tax, human resources, facilities, and information technology. A hallmark of the NBOA community is the high degree of collegiality and peer-to-peer learning among the national membership. Business officers, business operations staff, heads of school, and other school leaders truly value their colleagues' ideas, strategies and solutions. The NBOA Annual Meeting will feature dynamic 75-minute sessions, a lively goldmine session featuring four rounds of focused 15-minute presentations, as well as a limited number of “deep dive” sessions curated by NBOA. We strive to ensure that all presentations are relevant to independent school business operations and industry trends or developments, are creatively structured, utilize case studies from independent schools and provide a high degree of participant engagement. Your proposals must be submitted by the submission deadline using the official form. Information must be complete at the time of submission. Program submissions with incomplete information or speaker information "to be determined" will not be considered. You must include one learning objective for your session. Please indicate whether the session is basic (for attendees who are new to the profession or independent schools) or advanced (for seasoned and experienced professionals). Business partners are strongly encouraged to present content; however, please refrain from programs aimed strictly at promoting your business or product. Programs that include a business partner and a business officer or business operations staff member have a greater chance of being selected. NBOA reserves the right to edit session titles and session descriptions. All presenters/speakers must register and submit payment for the NBOA Annual Meeting (full or single-day registration fee). If your program is selected, you will receive a "speaker code" that entitles you to a discounted registration rate to the entire conference. You must use this code when you register to receive the discounted rate. Registration opens in early October at www.nboaannualmeeting.org. All expenses related to registration, travel and hotel are the responsibility of each individual speaker/presenter. In addition, speakers must make their own travel arrangements and book their own hotel reservation. You will receive your "speaker code" to register only after you have submitted your signed speaker agreement to NBOA. All presenters must agree to all responsibilities. It is the lead presenter's responsibility to advise co-presenters of these responsibilities. If your program is accepted, all speakers included on the submission form must be registered and present at the NBOA Annual Meeting. NBOA reserves the right to cancel any program due to speaker substitutions after the program has been accepted. NBOA is using a third-party platform for program submissions. This is a separate system from the NBOA website so you will not use your NBOA website password to login—you will need to create an account on the platform before submitting a proposal. You can start a submission, save it and continue editing it later. Having an account makes it easier to submit and manage multiple proposals. It streamlines the review process for NBOA and allows for easier communication between the Review Committee and submitters.